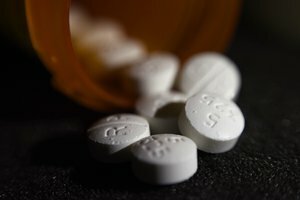 The A.N.T. Farm Soundtrack is a Disney Channel soundtrack from the TV series A.N.T. Farm. It was released on October 11, 2011. Almost all of the songs on the soundtrack are performed by the show's lead actress, China Anne McClain , including the show's theme song, "Exceptional", and covers of Taio Cruz's "Dynamite" and Christina Aguilera's "Beautiful". "DYNAMITE!" and an original song, "Calling All the Monsters", were released as singles from the soundtrack. "Calling All the Monsters" was the first single to chart, peaking at number 86 on America and charting in two more countries. There are also two songs by fellow cast member Carlon Jeffery[Who plays Cameron Parks: a kid-friendly cover of DJ Jazzy Jeff & The Fresh Prince's "Summertime" and an original, "Pose" with fellow cast member Stefanie Scott. There are two bonus tracks by McClain and her sisters, the McClain Sisters. James Christopher Monger of Allmusic made a review: The soundtrack for Disney’s A.N.T. 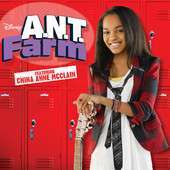 Farm, a television sitcom that follows the misadventures of a group of gifted middle school students (Advanced Natural Talents) as they navigate their way through high school, features ten tracks, including the program’s catchy theme song, “Exceptional.” Most of the tunes, all of which fall into the teen pop/rock genre, feature China Anne McClain, who portrays an 11-year-old musical prodigy named Chyna Parks, as well as cast members Stefanie Scott and Carlon Jeffery. The last two cuts, “Perfect Mistake” and “Electronic Apology,” are performed by China and her siblings, who have their own album under the McClain Sisters moniker.